Eric Harless, MAI has substantial experience in valuing healthcare properties throughout the United States. Mr. Harless’ valuation experience includes determining Fair Market Value for Stark Law compliance, financing, possible sale or purchase, allocation of purchase price, ad valorem purposes, and internal planning purposes. Of the numerous healthcare properties previously appraised including acute care, behavioral and rehab hospitals, emergency centers, oncology centers, ambulatory surgery centers (ASCs), diagnostic imaging centers, skilled nursing facilities, biotech facilities, medical office buildings and other real estate related properties. 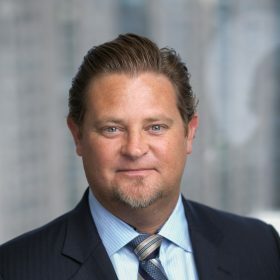 His clients consist of non-profit and for-profit health systems, real estate investment trusts (REIT), other publically owned and privately held healthcare entities and various law firms. Mr. Harless’ valuation experience also includes non-healthcare properties such as: vacant land, multi-family complexes, neighborhood shopping centers, office buildings, corporate headquarters, light manufacturing, warehousing and special purpose properties, including equestrian facilities.